Disneyland is always on every kid's dream destination whether they're 5 or 65. 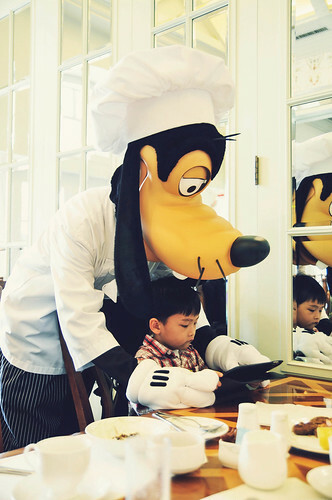 So when I had the opportunity to visit Hong Kong Disneyland for the first time, I wanted another kid with me. 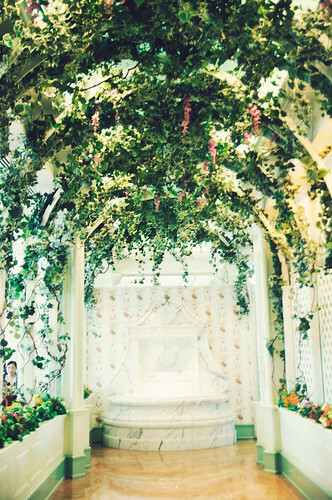 Enter Stephanie Torres of Satori Photography. Steph emailed me recently to ask if we could collaborate on some projects. 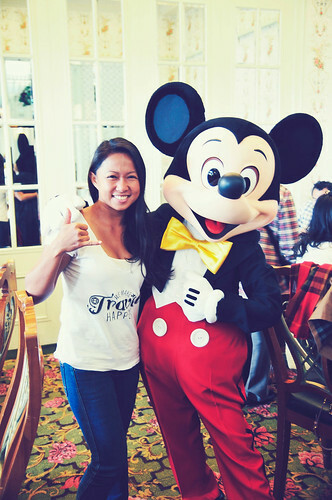 I wanted to get to know her better and invited her to join me on this whirlwind exploration of Hong Kong Disneyland. 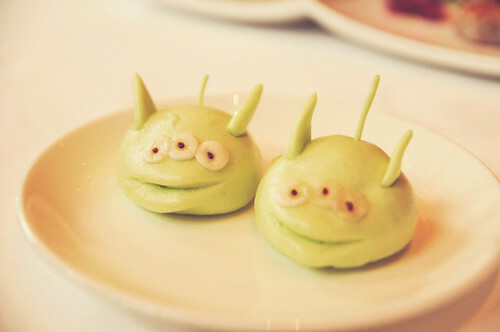 Steph and I were pleasantly surprised that one of the highlights of our Hong Kong Disneyland experience was the food! I mean, we love Disney for the characters, the rides and the wonderful feeling of being 5 again! But we never expected to enjoy the cuisine as much as all those. 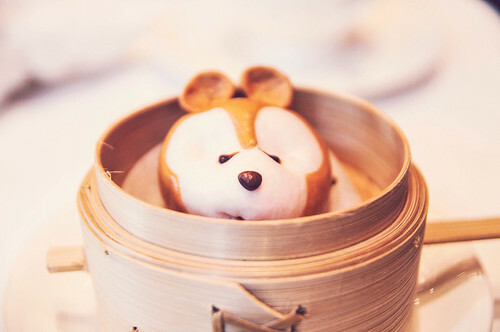 We’ve walked around the Hong Kong Disneyland in search of deliciously gorgeous food and here are our top picks! Our first stop was the Crystal Lotus Restaurant inside Disneyland Hotel. 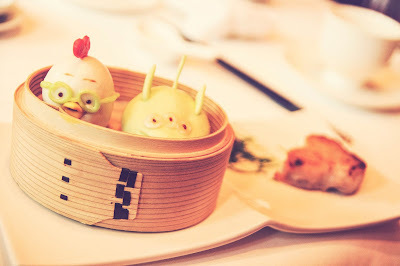 Who wouldn’t get excited upon seeing specially created Disney Dim Sum like "Duffy" Steamed Lotus Red Bean Puree Bun, "Chicken Little" Steamed Lotus Seed Puree Bun and "Little Green Men" Pork and Vegetable Bun? And that was just for starters! Then we had a deliciously sweet Pumpkin Puree Soup with mushroom and chicken. It was so good and healthy! For the main course, we enjoyed wok-fried Veal Tenderloin and Fresh Asparagus in black bean sauce and braised tofu with crab meat! What a tasty treat- it’s Chinese food with a twist of Disney fun! We ended our delicious meal with cold fruits like cantaloupe, melon, strawberries and grapes. 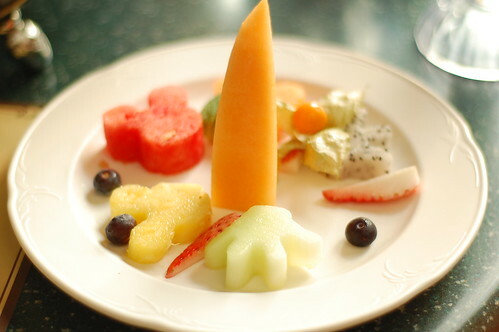 We couldn’t get enough of all the “Spot the Hidden Mickey” shapes in fruit. And it wasn’t just the food that we enjoyed. The staff gave amazing service by offering Steph some vegetarian and seafood options when she told them her preferences. We took our time enjoying the ambiance and view from the restaurant and had good coffee afterwards. Our first breakfast in Disneyland was a nothing short of a celebration. We were treated to a fabulous international buffet at the Enchanted Garden Restaurant still inside the Disneyland Hotel. 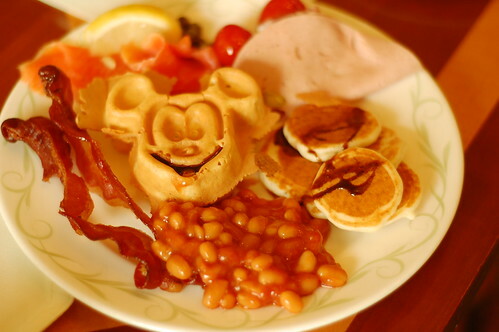 I got very overwhelmed with the selection of Mickey shaped waffles, bacon, eggs, ham, beans, fruits, noodles... Let's just say a few hours is not enough to sample the indulgent feast that they prepared for us! 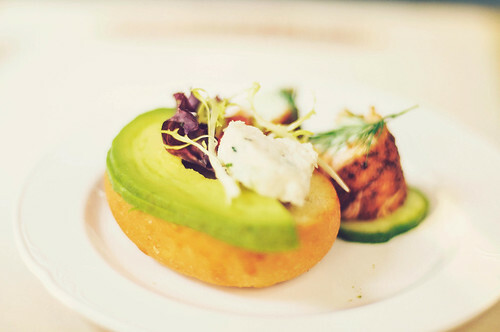 We were spoiled rotten not just by the food and service- the entire dining experience was nothing short of magical. 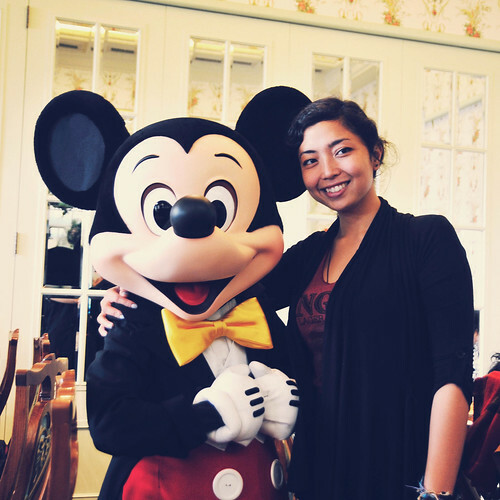 While we were having brunch at the Enchanted Garden at Disneyland Hotel, we were surprised to meet Mickey and the whole gang! Steph and I couldn't resist and we jumped in to have our photos taken with our favorite Disney characters. Of course, Mickey Mouse was a popular choice! 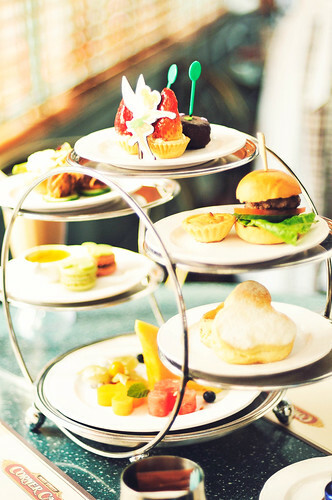 One of the most beautiful meals we had at Disney was the Magical Afternoon High Tea Set at Corner Café on Main Street. 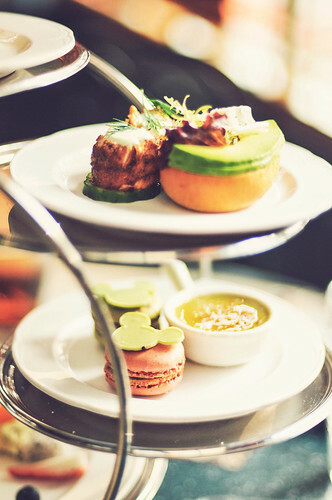 We took a full 20 minutes to just step back, admire the sweets piled in front of us, as well as photograph and instagram them of course! 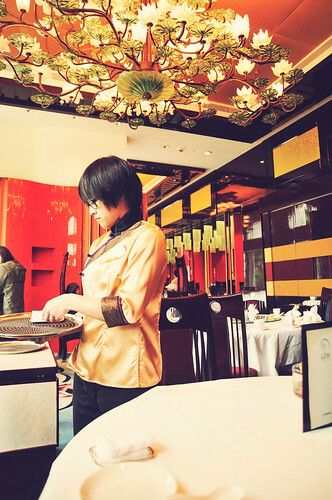 Everything was served delicately in pristine china on an elegant tray. It was almost too pretty to eat- almost. 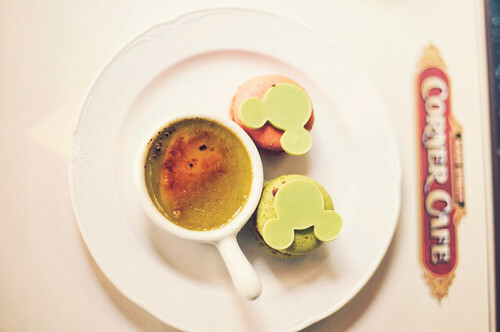 So those are our top recommendations for the best eats in Hong Kong Disneyland. Which ones would you like to try? Share your picks on the comments below. Watch out for our next feature on the Hollywood Disneyland Hotel! So great to meet you on this trip Rayyan! See you at another place, another time! Happy travels!